Topping our list is the Prevue Universal Small Animal Home. The cage features an upper level so that your gerbil has plenty of space to relax and have fun. At the bottom of the cage, there is a plastic space where your gerbil can dig and hide in the sawdust. Your gerbil can then travel up the ramp to the upper floor where there is a big space for relaxing and eating. Not only does this gerbil house make the perfect habitat for your pet gerbil but it is good for you too because it is easy to clean. You can simply unlock the base from the net structure for total cleaning. For everyday maintenance operations, there is a useful door. The cage boasts an impressive construction too. It is sturdy and made to last. As the name of this product suggest, the Kaytee My First Home Tank Topper turns any 10 gallon tank into a multi-level high rise suitable for gerbils, as well as mice and hamsters. It only takes a few minutes to put this wire gerbil tank topper together. It also comes complete with a great range of accessories to keep your gerbil busy, including a Little Brick House hideout, Critter Canteen Water Bottle, a “Bowl in the Hole” Food Dish, Safety Ramps, and Comfort Shelves. You can also personalize your gerbil’s home with the free pet nameplate that comes with this product. And more good news… no tools are required! This is another gerbil cage that ticks all of the boxes. Like the former product, this is designed to convert any 10-gallon gerbil aquarium. So, if you have a fish tank you don’t use, this is definitely a great product to go for! Of course, you can easily buy one for a low cost too. Within a matter of seconds, you can add the cage to the tank to create a multi-level home for your gerbil. 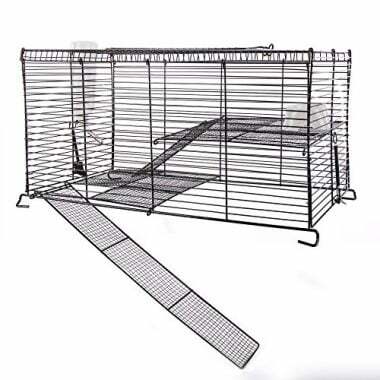 This cage comes with safe ramps and mesh floors, spring locks, and a fresh air design that is ventilated well. It has a wire that has been coated and is chew proof, providing the ideal home for your gerbil and ensuring you do not need to buy a replacement home later down the line. The cage is also easy to clean and will not take a lot of effort to assemble. The roof of the cage has an easy access top door so that you can clean it with ease. The cage comes with a water bottle and a food dish. This fun habitat offers everything your gerbil could possibly need from a cage. It comes with an exercise wheel, petting zone, water bottle, and a food dish, as well as a front access door and a lookout tower. This cage is compatible with all of the other CritterTrail accessories and items that are available, meaning you can fully customize your gerbil’s home. You will be amazed by the sort of home you can build for your new pet. So here with have a 10-gallon aquarium, which is designed to use with the add-on cool gerbil cages that have been mentioned above. So, if you do not have an aquarium because you have never had fish before or maybe you got rid of yours, you can buy this one and it won’t cost you a lot at all. It is exactly what you need to provide the perfect ground floor for your gerbil. 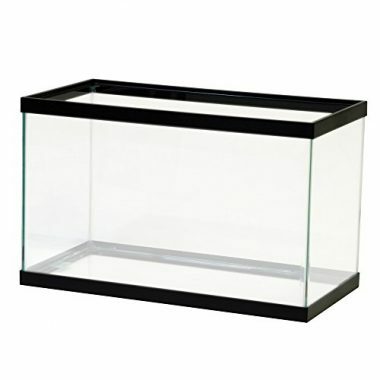 This aquarium is sturdy and long lasting, featuring clear silicone seals and a black trim design. The product will be protected during shipping as it comes with reinforced packaging. This is a complete, spacious home for your gerbil, which includes two platforms and houses for your pet to hide and play. You can also make sure your gerbil gets enough exercise because there is a wheel included too. The cage is also very easy to clean, as the base snaps off, meaning maintenance is quick and straightforward. Finally, we have another high quality tank topper, which is perfect for gerbils. This topper is designed to double the living space for your new pet addition. Combine it with the aquarium that has been presented above and you have the perfect habitat for your gerbil. Not only is this topper spaces but also it is convenient and comes fully assembled so that you do not have to worry about spending any time putting it together. Maintenance and cleaning is easy too thanks to the top door entry. Top door entry for easy cleaning and maintenance. 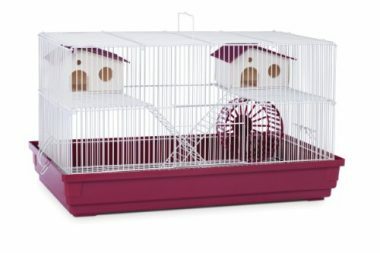 This cage offers a lot of fun for your gerbil! It comes with a chew string, water bottle, wooden swing and ladder, and a wooden platform and cozy house, as well as challenge accessories. It is also really easy to clean because the large opening provides easy access. 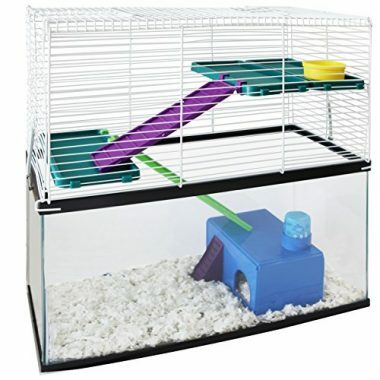 Not only can your gerbil have a lot of fun but you can make sure it gets all of the activity it needs thanks to the climbing cylinders and exercise wheel. When buying a gerbil cage, there are lots of different things you need to take into consideration. The first thing you need to consider is the type of gerbil cage you are going to purchase. This is something we will go into further detail about in the next section. 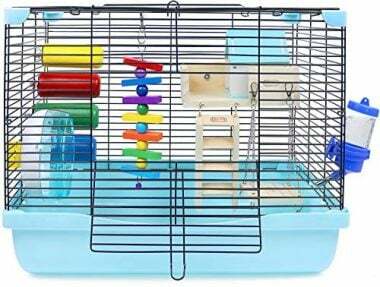 Nevertheless, it is worth pointing out that there are lots of different types of cages, including standalone cages, toppers that attach to tanks, and modular cages, which attach to existing gerbil habitats, so this is definitely something you will need to keep in mind. You also need to think about the space that you have available to you in your home and where you intend to place the gerbil cage. And, what about the space the gerbil cage provides for your pet itself? Is there plenty of space for your gerbil to exercise, eat, and sleep? It is important to make sure that this is the case. After all, you would not like to eat, sleep, and run in the same place, would you? The best gerbil cages today usually come with a good selection of accessories so that your gerbil has everything it needs, from a wheel to a drinking bottle. Aside from the points that have already been considered, you also need to consider the construction, safety, and practicality of the cage too. Let’s deal with the latter first. How easy is the cage to maintain? How do you get inside of it and clean it? There is nothing fun about cleaning a gerbil cage so you definitely want to make sure that it is as easy and convenient as possible. You also need to make sure the cage is safe. Your gerbil should not be able to chew through the wires or escape with ease. Finally, the construction of the cage is important too. You want something that is sturdy and made to last. As touched upon in the former section, there are a number of different types of gerbil cages for you to choose from, so this is something you certainly need to consider when you are looking for the best one for your pet. A common option is to go for a tank topper. This is a cage that is designed to be attached to an aquarium/tank. Therefore, if you have had fish before, this is a good option. Of course, you can easily purchase the tank, as suggested in our top five product section. 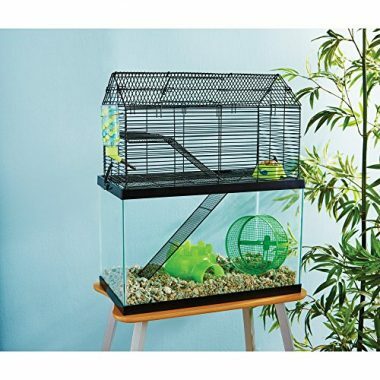 With this type of cage, the tank provides a great extra living space for the gerbil, and then the topper creates a second floor, which your gerbil will usually access via some stairs. This gives the gerbil a much bigger space so they can have a happier life! Another option is to go for a modular cage. Just like the topper, this cage will have been created using wires. 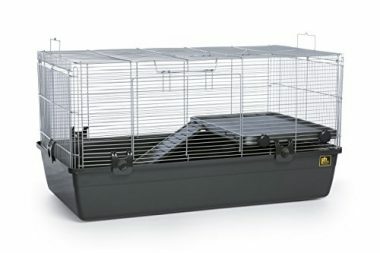 However, rather than attaching to a tank, this cage attaches to other gerbil habitats. This is great for those who have other gerbils or hamsters, or are thinking about adding some to the family in the future. After all, gerbils are just like us – they do not like to be alone, so it is always a good idea to get them a buddy once they have settled in. You can also get a standalone cage. There are lots of different versions of these cages available online. The trouble with a lot of standalone cages is that they are only one level, which is why we have suggested alternatives. While there is nothing wrong with one level cages, it is better to give your gerbil more room so that they can get the exercise they need. After all, you wouldn’t like to sleep, eat, and run around in your bed, so a gerbil will certainly appreciate some more space too. 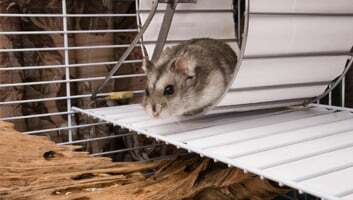 As mentioned above, gerbil cage maintenance is something you certainly need to consider when you are looking for the perfect habitat for your new pet. You want to make sure that you can access the cage with ease so that cleaning is a breeze and does not get too messy. A lot of the cages will come with two access points, i.e. one for easy everyday maintenance and another for when you want to do a thorough clean. This is the case with our top pick, as it has a door for the former and the bottom comes off for the latter. Move accessories and toys around the nest. Check for potential hazards. Stabilize platforms and accessories. Close off any possible escape routes. Replace sand in the sand bath. Refill the cage with fresh bedding. Dry the accessories and cage with a cloth. Wash all accessories and walls. Toss all soiled bedding. You can remove all bedding particles with a vacuum. Needless to say, you will need to put your gerbil in a temporary cage while you carry out the tasks that have been mentioned. You certainly don’t want to put the vacuum anywhere near the cage while your gerbil is in! Q: Can gerbils live in a hamster cage? A: Well, yes they can. If you take a look at products on the web, you will often see that cages are advertised for gerbils, mice, and hamsters. Because they are all the same size and have a similar nature, naturally, their habitats are going to be similar. However, everything that has been mentioned in this guide is best suited to gerbils. Hamsters are more solitary living and slow moving. You don’t need a deep base because there is not a lot of bedding needed. Gerbils, on the other hand, are fast moving and like to live in groups. Plus, they like a messy looking environment too! That is why it is a good idea to make sure there is a deep base and that there is a lot of room for bedding. This is why we have suggested a lot of the multi-level habitats. They are much better suited to gerbils. Q: How big should a gerbil cage be? A: As mentioned in the buyer guide section, you are going to need to consider the size of the gerbil cage when purchasing too, be it a large or small animal cage. It can be difficult to know how much space you need. The American Gerbil Society has recommended that a good rule of thumb is five gallons of space per gerbil. A ten-gallon cage is ideal for a pair of gerbils. 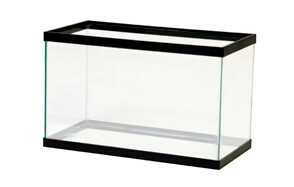 In this guide, we have provided some great suggestions regarding a ten-gallon aquarium with an add-on cage. This type of set up would be perfect for one or two gerbils. You can then build upon this with the modular cage if you decide to add some more gerbils to the family. Q: Where should I put my gerbil cage? Somewhere quiet – The first thing you need to do is find a place that is quiet. This is because gerbils are very sensitive creatures. They have an excellent sense of smell and very good hearing. 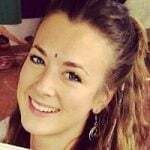 They need to be in a place whereby people are not going to be going in and out of all of the time. For this reason, it is not a good idea to put the cage in a living room, children’s bedroom, or hallway. 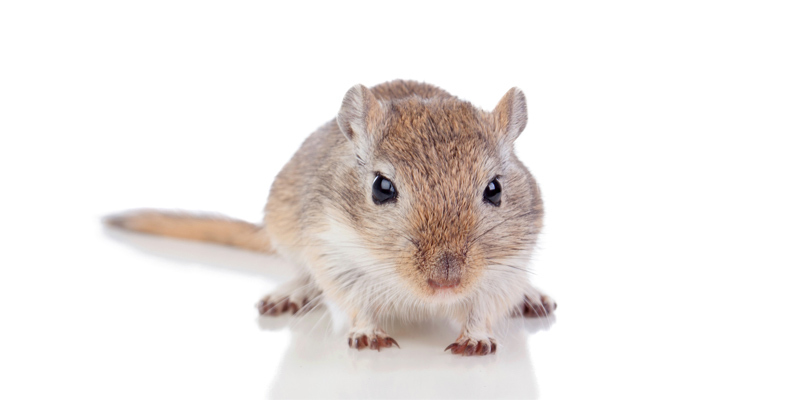 Gerbils will also be a lot calmer if they are not in areas near a television or running water. Out of the way of chemicals – Don’t put your gerbil cage in the garage, bathroom, or laundry room. These spaces are not good for gerbils due to the fact that you will often find chemicals here. Certain cleaners and detergents are not good for the respiratory systems of small mammals, often leading to infections. Somewhere well away from other animals – If you have other animals in the home, it is a good idea to keep your gerbil away from these. Gerbils are prey for a lot of bigger creatures. Even though your dog, cat, or any other animal may not mean any intentional harm, you really don’t want to run the risk of the pet staring or attempting to get into the cage. Your gerbil should not have to live in fear! Constant temperature – The final thing you need when looking for the perfect environment for your gerbil is a constant temperature. Small mammals like gerbils do not tend to do very well with changes in temperature. You should look to put the cage in an area that is not in direct sunlight. Keep the cage away from fireplaces and radiators. Q: What should I put in my gerbil’s cage? A: There are a number of different things that are required when it comes to a gerbil’s habitat. The first thing that is needed is ventilation. You also need a private zone so your pets can curl up without lots of eyes staring at them. There needs to be somewhere for your gerbil to exercise too, which is why wheels are popular. You also need to make sure that there are a drinking bottle and a bowl for food. The best cages will come with all of these accessories included. Q: What kind of bedding should I use in my gerbil’s cage? A: There are a number of different bedding options you have for your gerbil. This includes shredded paper, cardboard shavings, and hay. These three options are ideal. However, shredded paper is best for just a temporary option. Cardboard shavings and hay are better long-term options. Some bedding options you should NEVER go for are as follows: fluffy bedding, newspaper, and cedar and pine bedding. Fluffy bedding can cause issues if your gerbil tries to ingest it. Newspaper can be harmful if the gerbil licks or eats it. Cedar and pine bedding can be broken into tiny pieces and breathed in, which can cause problems for your gerbils. Q: How can I hold my gerbil? A: Holding your gerbil safely is properly. You should pick up your gerbil by using your hands to form a cup on either side of your gerbil. You should the scoop your gerbil up on your palm. You just need to be cautious to make sure your gerbil does not jump out of the top of your hands. The best thing to do is hold your gerbil low over a flat surface. This will ensure they do not injure themselves or fall far if they jump from your hands. 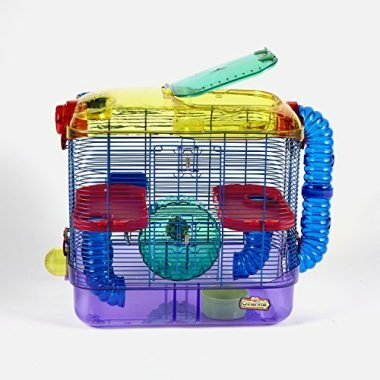 So, let’s finish by recapping our top pick for the best gerbil cage, which is the Prevue Universal Small Animal Home. This cage has everything you would want from a gerbil cage. It is reliable, easy to maintain, and it provides plenty of your gerbil to do. Plus, it certainly helps that you can take the bottom away for easy cleaning! You won’t be disappointed with this gerbil cage, that’s for sure. So there you have it: an insight into our top five gerbil cages available today. We hope you have found this guide useful. Make sure you follow the advice and use the information that has been provided when looking for a cage for your gerbil.